Pilot Daniel Horak was sold at the possibilities to fly long haul from his home in Florida. When I learned the intentions of Norwegian, I realized I would be part of an aviation revolution. Daniel works as a 787 LH Relief Captain flying for Norwegian Air, and has been in the company since April 2017. 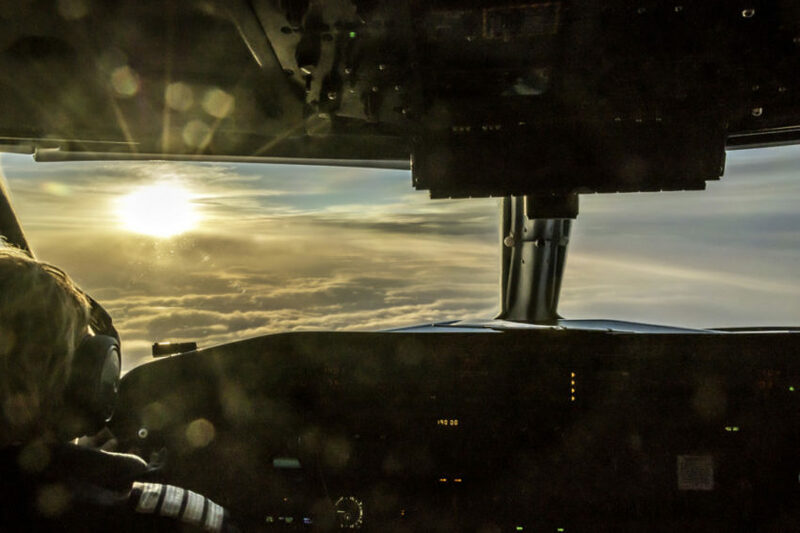 We have spoken to Daniel about his motivation, the recruitment process and ultimately how it is to work as a pilot under the wings of OSM Aviation and Norwegian. Before applying to the position Daniel did a lot of research on the company and spoke with people who flew on Norwegian. In addition, he watch numerous videos and read many articles before commencing the application process. It became clear to me that Norwegian was on track to become the world’s favorite airline and I was in the right place at the right time to be a part of it. Communication with OSM was great from the start. I had many questions during the application process and the recruitment team was always quick to respond. I felt appreciated for showing interest in joining Norwegian. I have great respect for an organization that values its employees, and this was a good indicator of what was to come. After applying, the recruitment team will go through all the information and if the pilot qualifies they will be invited to a Pilot Screening. The screening process takes one day and includes a short presentation, a group exercise, a structured interview, a technical interview, an EPST Advanced Compass Test and a documentation check. The screening was an exciting experience. I brought some Cuban coffee and shared it with some of the other candidates in the lobby. Naturally, I spilled some but was able to clean it up before the Norwegian screeners showed up–at least it broke the ice a bit with the others. When we met the screeners, they came off as very professional and had better English than I had which made me a bit nervous. As soon as we sat down though, they made us feel at ease and welcome as though we were already part of the team. After a short introduction and presentation about the future of the company, I think we all realized we were at the right place. If passing all the checks, tests and interviews the pilot will start their training. I have found that Norwegian has a mindset of “the more, the better” when it comes to training. This is an important starting point, but while a company can create the conditions for good training, the quality of the training rests with the trainers. From ground training to line training sectors, I have experienced instructors who enjoy teaching and challenging me to think. Having the right people in training positions is the mark of a good training department and Norwegian has done it. The Boeing type rating training is challenging due to the short duration of the course. It really is a sprint until the simulator training starts, and then it becomes more fun. The operator conversion course in Oslo is the opposite and is a heavily social event. We had a good group and we are all still in contact today. Flying long haul is an efficient way to make a living and see the world. It comes at the cost of being away from home and flat-lining your circadian rhythm, but it’s worth it. Day becomes night, night becomes more night, and just yesterday I saw the sun rising flying westbound. I mentioned to the captain that I think it’s broken. He just laughed. Consequently, the best part of a long haul flight is when it comes to your turn for the crew bunk. There’s merit to the theory, “rest when you can”. On layovers, a surprising amount of time is spent resting. The other times, it’s like spending an all-expenses-paid weekend with your work family. You never know if this layover will be your most memorable. Anticipation of a good adventure is an excellent motivator. Pilots have unique responsibilities and therefore unique benefits. There are many perks to this lifestyle, but as pilots we all remember the journey to get to this position. There are many sacrifices to becoming a pilot and in the short-run it is not the best return-on-investment career choice. Even though Norwegian LH is a young low cost operation, the current contract is competitive which can be attested to by the large numbers of qualified pilots joining the company. When you compare the pilot contract to the first three years at a major US airline, there is not much difference. In fact, the conditions for the first year at Norwegian as an RCA or CA cannot be matched by any US major. Beyond the first three years, the contract is sure to remain attractive for Norwegian to continue its revolutionary growth. The market will dictate conditions on future contracts and I am confident we will emerge as one of the premier employers in the world. I fly for Norwegian and OSM is my support group. We are a three-way team and it works quite nicely.